The Muncie Community Schools board voted to close Southside High School, leaving Central High School as the only remaining high school in the city. At an emotional meeting, the Muncie Community Schools board voted 4-1 to close one of the district’s two high schools in an effort to cut costs. 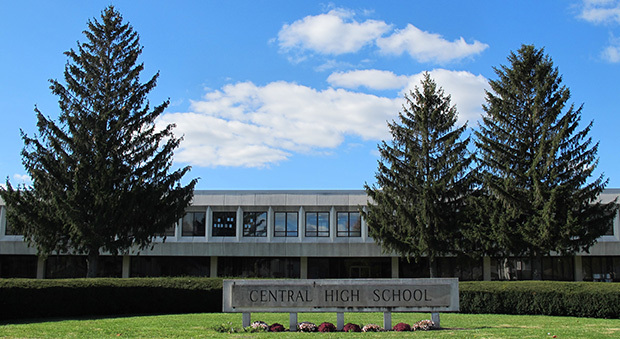 Beginning next school year, all high school students will combine into the Central High School building and Southside [High School] will become a middle school for grades 6-8. Muncie Community Schools Superintendent Tim Heller told the public that the Central High School building was the only building large enough to house all of grades 9-12 in the city. “Merging the high schools will provide more educational opportunities for all students and allow the creation of new programming, such as early college and International Baccalaureate programs,” Heller said. Board chairperson Bev Kelley was the only board member who voted no to closing Southside. She was also the only one who took the chance to speak from the board table. The move to close the school is not directly related to the failure of the district’s referendum two weeks ago, but it shares a similar root cause. Muncie Community Schools’ enrollment has slipped by about 1,000 students in the past six years, and the loss of 40 percent of the district’s tax revenues to property tax caps has compounded the pain. The meeting, Michelle Kinsey reports for The Star Press, was brief — only 15 minutes long. A large crowd packed the Muncie Area Career Center’s auditorium for the meeting.